I don’t think I’ve met a single person who didn’t like the PF Changs Lettuce Wraps recipe. 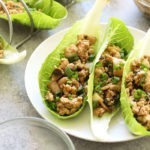 These homemade PF Changs Chicken Lettuce Wraps are the perfect way to start a meal or, because why not, to be the main meal. They are low-carb, protein-packed, and full of flavor. Bonus- they double as Copycat Pei Wei Lettuce Wraps, too! You’re going to love these Copycat PF Changs Lettuce Wraps. 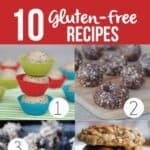 They can be easily gluten-free modified (with the right gluten-free sauce products) and are packed with veggies. I think that’s one of the hardest parts for me, getting enough veggies into my diet! We snuck some mushrooms and water chestnuts into the chicken mixture just like the real recipe has! And, of course, the base is made from ground chicken to get all that protein in. I mean, per serving you get 21g of protein. Yeehaw. hoisin sauce: hoisin is sweet and flavorful. It’s not gluten-free, but you can find a few different gluten-free hoisin sauces out there, so keep an eye open if you’re gluten-free! freshly grated ginger: ginger is a great way to add a zippy flavor to any Asian sauce! If you don’t have fresh ginger, you can always sub for a little ground ginger. soy sauce: It wouldn’t be a lettuce wrap recipe without a little bit of soy sauce. 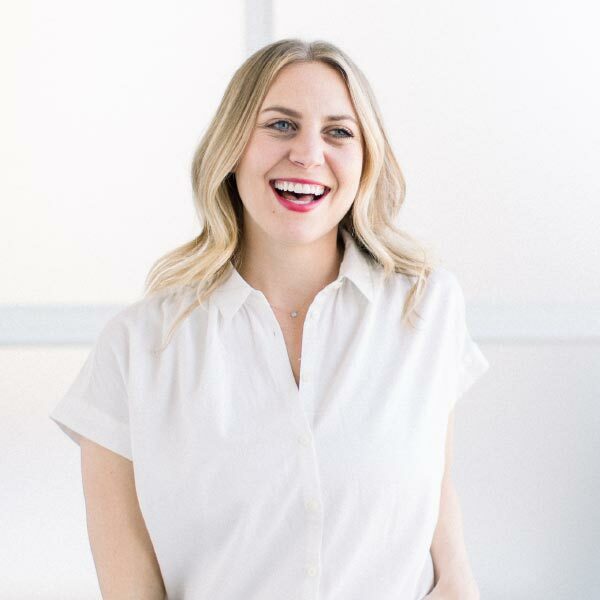 If you’re gluten-free, feel free to sub for tamari. minced garlic: don’t skimp on the garlic! That is all. rice vinegar: A little rice vinegar goes a long way. I’m a firm believer that vinegar of any kind should be added to most sauces because it brings out the other flavors of the sauce. All of these ingredients are easily available at most grocery stores. So? Next time you’re craving your favorite PF Changs Chicken Lettuce Wraps, make them at home instead! Eating these chicken lettuce wraps as an appetizer? 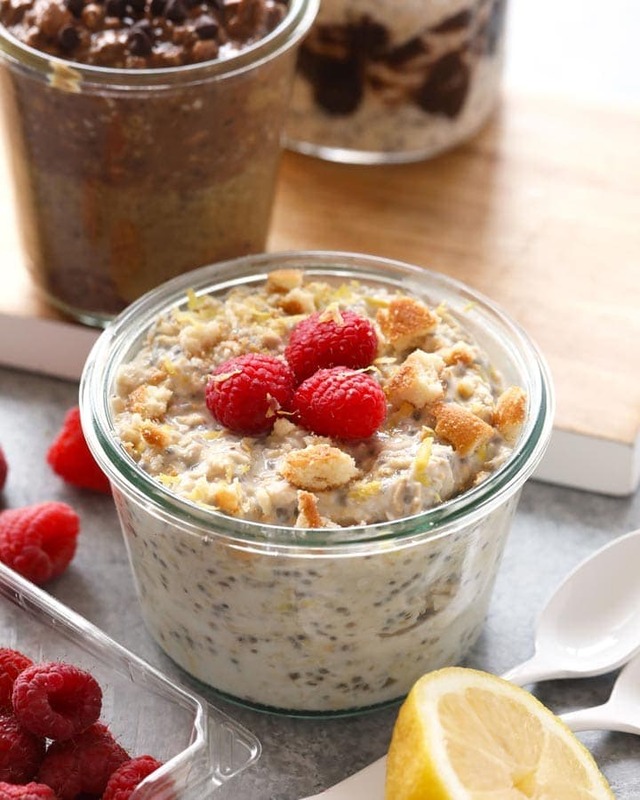 Serve them with one of the following healthy stir fry recipes from Fit Foodie! 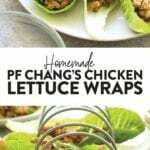 If you love this PF Changs Lettuce Wrap recipe, you will love our other lettuce + wrap recipes from Fit Foodie Finds! Check it out below. Heat sesame oil in a large saucepan over medium/high heat. Once oil is heated, add in ground chicken and sauté for a few minutes, mixing continuously. Then, add in chopped mushrooms, fresh basil, and water chestnuts and continue to sauté until chicken is cooked all the way through, around 8-10 minutes. While the chicken is cooking, prepare the sauce. Whisk together all ingredients. Enjoy on a piece of lettuce or romaine. This recipe was slightly updated on 1/24/2017.